Round Island, where my affection for and interest in the Round Island Bottle Palm began, is a tiny islet off the north coast of Mauritius; it is the only wild home for this special species. I traveled to Mauritius as part of a project to conserve some of the island’s most endangered species. Round Island has been devastated by more a century of habitat destruction. Its forests were cleared for timber. Goats and rabbits devoured seedlings and prevented regeneration of the forest. Exotic weeds have spread and choked the native vegetation. Rains have washed away the soils leaving a denuded landscape as an almost barren rock in the ocean. Many of its unique plants and animals are on the brink of extinction. The project of which I was a part in 1985 included collecting and growing seeds and cuttings, tracking down the few surviving plants in the wild, and planning strategies to conserve the plants in nature and in gardens. In 2011, I returned to Mauritius and had the opportunity to see how the work begun 26 years earlier had progressed. It was a bittersweet moment in which I celebrated some success but also grieved the loss the island’s rich biodiversity. The good news: botanic gardens everywhere continue to sharpen their focus and work collaboratively to restore our shared ecology. Your Missouri Botanical Garden is a leader in such work. This newsletter is our effort to share details of that work with you. The Round Island Bottle Palm is growing in our own Climatron®. While cultivating the tree is some consolation, it is not a solution. Restoring it to its natural habitat so it can again be a part of the wild ecosystem has to be our ultimate objective. This is why I am delighted to share with you in this newsletter information about our effort to do just that. The Climatron is home to another endangered plant from Mauritius – the umbrella dracaena (Dracaena umbraculifera), which is completely extinct in the wild. The Garden is propagating the tree we have here with plans to return the umbrella dracaena to its island home. I wish each of you could accompany the Garden to this momentous occasion in which we bring this lovely tree back to its native home. In a sense, you will be there, because your support has helped make it possible. We are grateful. You also contribute to our mission by making decisions each day to be good stewards of our environment and all of the species with whom we are fortunate to share this planet. You are invited to learn more about how the Garden works to conserve resources and protect our planet during a special Conservation Club presentation on June 5. Again, thank you for all you that you do, and all that you help us do. The umbrella dracaena, or Dracaena umbraculifera, no longer survives in the only place it once grew in the wild – the Indian Ocean island of Mauritius. Records suggest that the tree last grew on the island in 1797. After a 300 year absence, it will soon grow again. The Missouri Botanical Garden will return the tree to its home. An umbrella dracaena grows today in the Climatron® of the Missouri Botanical Garden. It is one of an estimated 14 such trees being cultivated in botanic gardens around the world. It has been part of Climatron’s living collection since 1903. 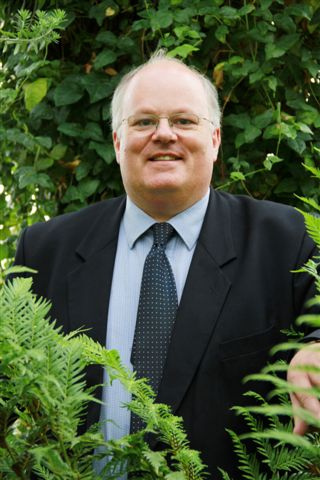 Dr. Peter Wyse Jackson, Garden president, launched the process of returning the tree to its home when he met with he met with authorities on the island of Mauritius during a trip there in 2011. Their response, he said, was “most enthusiastic and supportive.” Horticulturists at the Garden began to propagate – or breed – the umbrella dracaena the same year. The silver tape visitors see around the tree’s limb is an indication of a propagation strategy known as air layering. Horticulturists have carved a small section from the tree and placed moss around the niche to create an environment for roots to develop. The section will eventually be removed and planted. Three umbrella dracaenas are growing in the Garden’s greenhouses today. They are the first of what Andrew Wyatt, vice president of horticulture for the Garden, hopes will be a family of trees once again living on the island of Mauritius. The Garden targets 2014 to reintroduce the tree. Part of the Garden’s conservation plan for this species includes inviting other botanic gardens to share material of their specimens as well to assure that all of the surviving genetic diversity of this species can be brought together to form a uniquely restored wild population. Green learning and leadership continues to evolve in everyday Garden operations and in the Garden’s work in the community. The Garden’s sustainability experts ‘take a leaf’ from the ultimate sustainability experts – the world of plants! – in their effort to reduce waste, conserve water and energy, and make truly wise use of local and global resources. Join “Green Jean” Ponzi, the Garden’s green resources manager and local radio personality, to learn more about how staff and programs of the Garden’s EarthWays Center are succeeding in the work of educating business people, schoolchildren, homeowners and civic leaders on the how-and-why of sustainable thinking and practices. This event is exclusively for members of the Garden’s Conservation Club. Please join us!